Despite significant personnel changes, Pure Prairie League maintained itself as a successful country-rock band during the 1970s and early '80s, releasing ten albums and enjoying hits -- including "Amie" and "Let Me Love You Tonight" -- with different configurations of the group. 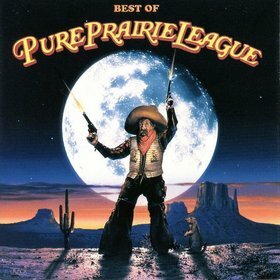 Pure Prairie League was formed in Columbus, Ohio, in 1969 by singer/songwriter/guitarist Craig Fuller (born July 18, 1949, in Portsmouth, Ohio), singer/guitarist George Powell, bass player Jim Lanham, and drummer Tom McGrail, who gave the band its name, which was the name of a women's temperance group in the 1939 Errol Flynn movie Dodge City. Pure Prairie League built up a following in Ohio, playing around Cincinnati for a year before earning a record contract with RCA Victor. By that time, McGrail had left and been replaced by Jim Caughlin, though Billy Hinds had also drummed with the band for a time. Adding steel guitar player John David Call, the group went into the studio and recorded its self-titled debut album, which was released in March 1972 with a cover depicting a Western character named Luke, an illustration drawn by famed naturalist painter Norman Rockwell that had first appeared on the cover of The Saturday Evening Post in 1927. Luke would turn up on all the band's subsequent album covers, giving them a distinctive visual conception.